What is your lollypop moment? | UC Berkeley Student Affairs Community Blog! Have you ever had a moment when your life was changed for the better by another individual who reassured you that you belong? You are important? You matter? 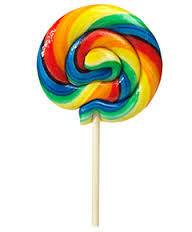 Within the workplace, we have the ability to make lollypop moments for our staff and colleagues. What everyday behaviors and actions can we take to make others’ lives fundamentally better?